December is right around the corner and the holidays will soon be upon us. Though they’re still a couple of months away, we wanted to mention a couple of special events coming up this December. Both of these are sure to sell out, so don’t hesitate, get a step ahead, and make your plans now by purchasing tickets. For the 18th year, Sonny Hess will be hosting two nights of the NW Women Rhythm & Blues Christmas Concerts benefiting The Candlelighters, an organization aimed at aiding children with cancer. As a cancer survivor, this is an event that means a lot to Sonny and she is bringing in many of her closest friends once again to help with the very worthy cause. The first show will be held on Thursday, December 8, starting at 7:00 pm, at The Trails End Saloon, 1320 Main Street in Oregon City. The second show will be held on Sunday, December 11, at 6:00 pm at Carvlin Hall, SE 16th & Division. Appearing at these amazing shows along with Sonny will be LaRhonda Steele, Rae Gordon, Lisa Mann, Ellen Whyte, Kimberly Hall, Arietta Ward, Vicki Stevens, Lady Kat, and Kelly Pierce. 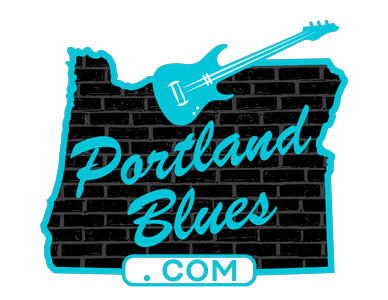 Tickets are $22.00 – $39.50 and can be purchased online at www.nwwomenblues.com. The second event to make note of will take place on Saturday, December 17 at Jimmy Mak’s, 221 NW 10th. Lloyd Jones will be presenting a special holiday show with two performances in one night, at 7:30 pm and again at 10:00 pm. The show titled Singing with Santa’s Sweet Angels will find Lloyd joined by local vocalists Lisa Mann and LaRhonda Steel, plus keyboardist-vocalist Teresa James coming up from Los Angeles. They’ll be backed by a powerhouse band including organist Louis Pain and drummer Brian Foxworth. Tickets for the Cascade Blues Association co-sponsored event are available through TicketTomato.com for $12.00. Use the code CBA for a $1.00 discount.